The Bank Building - Neighborhood Housing Services of Bedford Styuvesant. 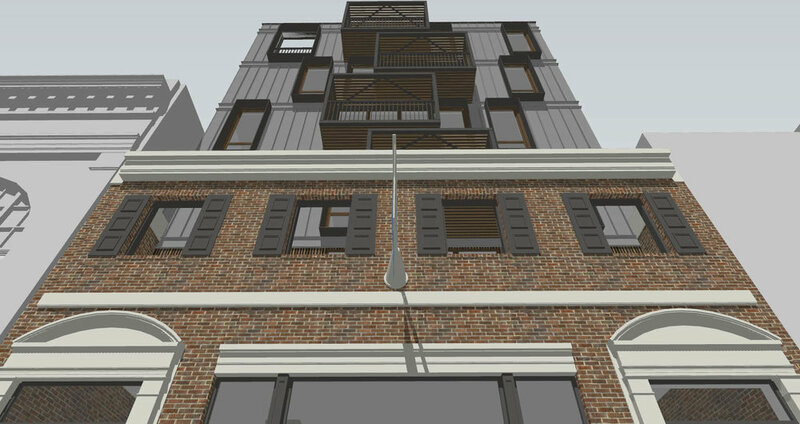 This is a mixed use building with 2 commercial and 10 residential units located in Brooklyn. The design maintains the existing 2 story Georgian style brick buildings facade built in the 1950's while a new 6 story structure springs up from the first floor behind this façade. 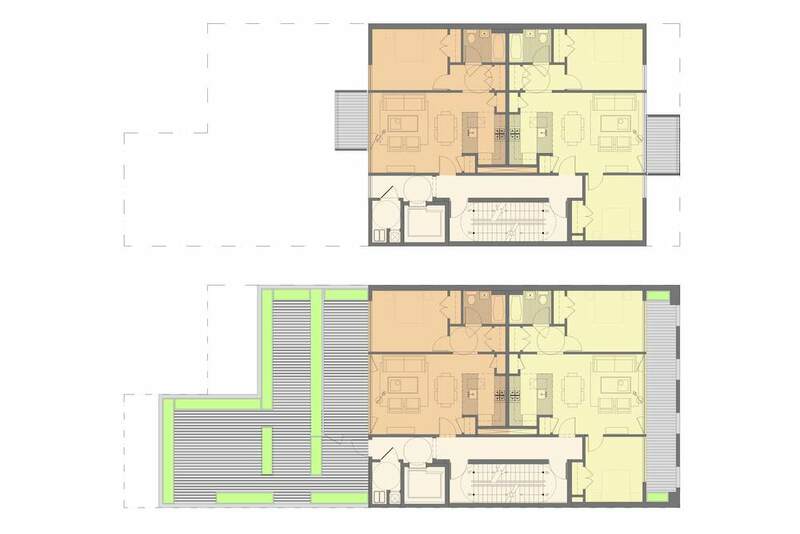 Two residential units are arranged per floor, with a pent house unit. The interior is crafted with a warm sustainably sourced palette. The façade is clad in rain-screen metal panels with framed casement windows and projected balconies in alternating positions on the facades each carefully detailed. 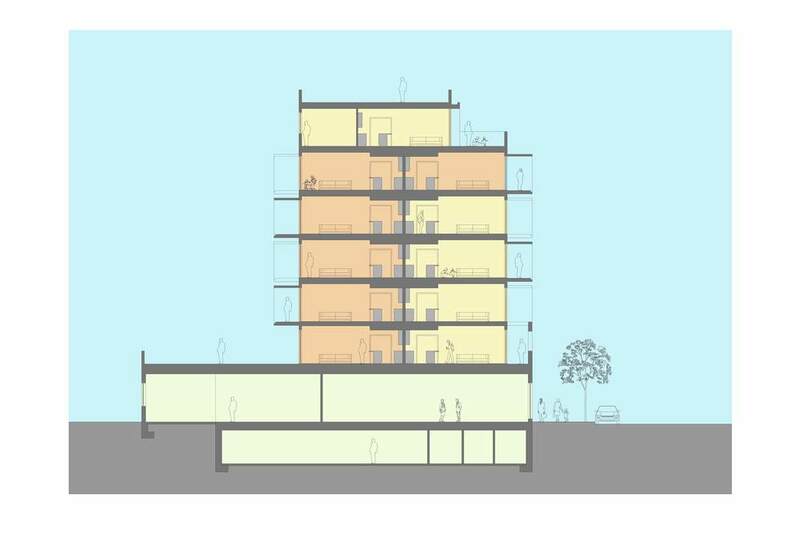 Each unit has an outdoor balcony space in addition to green roof terrace on the rear 2nd floor and a communal space at the roof. 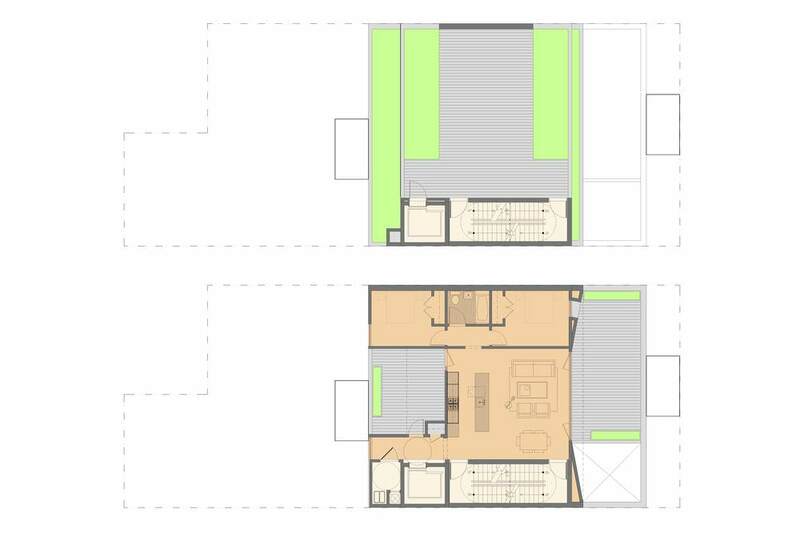 At the street the building’s existing formal style commercial entry is replicated on the opposite for entry to the residential lobby with large glazed doors allowing visual connection to the street. The original 2 story brick & cast stone façade is restored to its original condition. The building will utilize sustainable materials, and energy saving systems to help qualify for LEED Certification.